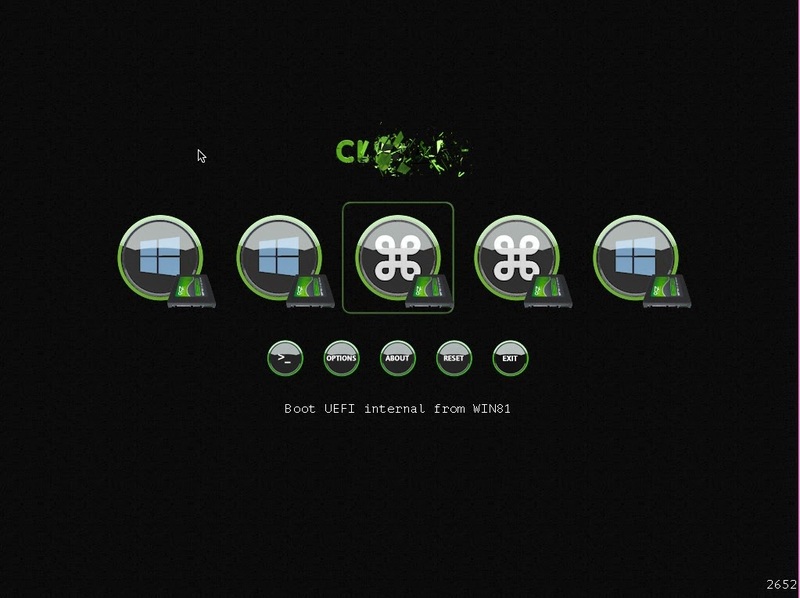 RMPrepUSB, Easy2Boot and USB booting: Boot directly from grub4dos to UEFI using Clover! I would like to add this to the CSM menu of Easy2Boot so that users would not have to reboot the system and choose the UEFI: xxxxxx boot option to boot from the E2B drive (when using .imgPTN image files). First, I made a FAT32 USB Flash drive using BootDiskUtility.exe. This is a Windows tool that makes a Clover-bootable USB drive for you. Having done this, I found it would not boot under RMPrepUSB's QEMU (which doesn't support 64-bitness and just rebooted) or VirtualBox (text mode menu only) but did boot on a real system to the full GUI menu (see piccy below) - but only on a USB 2.0 port, Clover does not load on my Z87's USB 3.0 ports. When is EFI not EFI? Another important (and confusing!) point to note is that 'EFI booting' means MBR booting in 'Clover-speak' and UEFI booting means UEFI booting. If you see a Clover menu option to EFI-boot from a drive - it means MBR\CSM-boot! 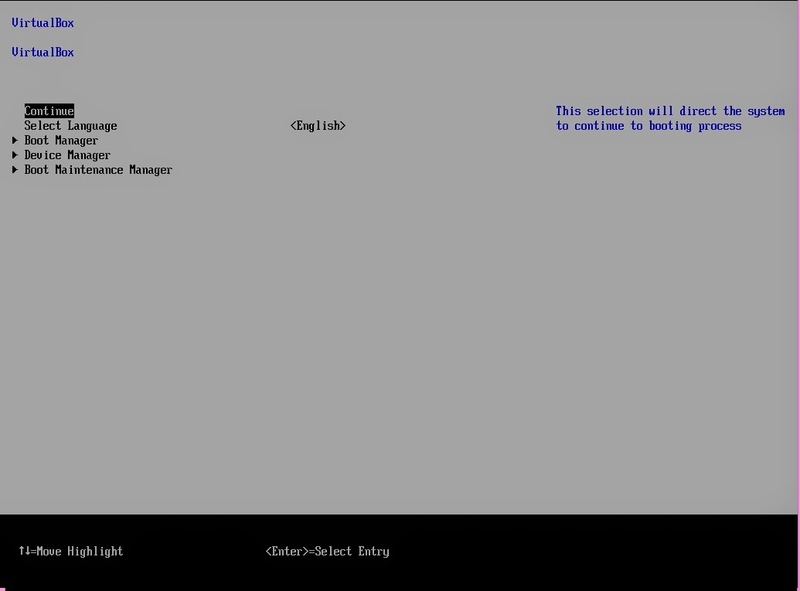 This is the 'expected' full-GUI Clover Menu - select the UEFI option for UEFI booting as shown. This is the text-mode screen I got! Under VBox, I only got the 'text-mode' screen after making a USB Flash drive using BootDiskUtility.exe to make the USB drive. However, if I ran the USB drive on a real system, I got the correct GUI menu. I later found that by pressing the 7 key after the first 2 seconds when booting from VBox, I managed to get the correct GUI menu! First in the boot chain, we have the MBR. This is a normal MBR with a partition table, but the code in it seems to be 'special' (see PBR below for why I think this). The MBR code can be found in a selection of boot0xxx files. You need to replace the boot code in your USB drive's MBR with the boot code from one of these files (but not the partition table). boot0ss - 'scan-signature' for AF type - MAC OS extended - seems to work best - no Active ptn needed. boot0md - multiple drives - searches various drives for an HFS+/MAC OS extended partition - it seems to need the partition to be flagged as Active though! see here for more (unclear) details! boot0ss still seems to boot from a FAT32 partition the best though! Moving on to the PBR - this code also seems 'special' in that we cannot just use chainloader ()+1 to boot from it in grub4dos. It seems we MUST go from the Clover MBR code to the Clover PBR code. Therefore both MBR code and PBR code are inter-dependent. I used boot1f32alt for my experiments. See here for more PBR details. The next stage in the boot chain is the file that is loaded by the PBR code. By default, this is a file in the root and is called boot. boot7 - Clover 64-bit with BiosBlockIO driver that works with any controller supported by the BIOS. Now, here we have a FUNDAMENTAL FLAW (did you spot it?) - the default boot file is boot but Windows uses a folder called boot to hold it's boot files - we cannot have both a file and a folder with the same name on a FAT32 partition! Great thinking guys! it loaded the \boot7 file automatically! I am guessing that when a user presses 7 manually, it just adds the ASCII code for 7 to the end of the 'BOOT' string in memory, and then tries to load that file. CloverIA32.efi or CloverX64.efi or CloverGUI. Note how these files have the .efi file extension but actually run in MBR mode, whereas normal files such as Microsoft bootx64.efi and bootia32.efi files have the same file extension but run in UEFI mode! Confusing huh? It then accesses more files under the \EFI\CLOVER folder - see here for more details. MBR (using boot0md code) -> PBR (using modified boot1f32alt code) -> \boot7 -> \EFI\CLOVER\CloverX64.efi -> Clover menu - \EFI\boot\bootx64.efi ---> Windows UEFI boot. However, I found that if I chainloaded to /boot0md or /boot0ss in grub4dos, as long as the PBR had the Clover code in it, it would boot (the md version also needed the partition to be Active too). This meant I can boot to grub4dos in MBR mode to the grub4dos menu and then, from that menu, run Clover - at last! Note it is for FAT32 only and has not been tested on linux, only Windows 8.1 x64 so far. It needs a bit more work and tidying up. boot1f32alt7 is the modified PBR 512-byte file which will load \boot7 instead of \boot. I also moved the boot0xx and boot1xx files to a \Clover folder to keep it tidier. The user can still press 2, 3 6 or 7 to boot to \boot2, \boot3, \boot6 or \boot7 as these are (currently) still in the root of the FAT32 partition (Edit: in Clover_Pack 002 only boot6 and boot7 are present!). It would be nice to be able to run syslinux in MBR-boot mode (see below for how I got this to work too). A good source of info on Clover is here. P.S. In later versions, I first save the current PBR into a file using grub4dos code at the start of the menu.lst file. Then, to boot to syslinux, I just use 'chainloader /PBR.bin' to boot using the code that was in the PBR. In this way I can boot to the syslinux code that was in the PBR before it was replaced by Clover. The \PBR.bin file must already exist on the USB drive and must be 512 bytes or longer if FAT32 (for NTFS it needs to be approx. 1K or larger). You can obtain the Clover files by downloading the MPI Tool Pack for Easy2Boot. It is very confusing here what the user needs to do boot 6 or boot7. And sure there are mostly likely various scenarios but surely a few examples would help. I would assume that 7 would be more likely to be faster and uses BlockIO, but 6 may be 'safer' and more compatible but slower? You would need to ask the Clover developers or look at the source code perhaps?